G2E Asia, presented by the American Gaming Association (AGA) and organized by Reed Exhibitions, will be held on May 15-17 at The Venetian Macao. It is a globally renowned showcase of the industry’s most cutting-edge products, services and technologies. This year’s 12th edition will be its largest presence to date, spanning a 37,000 square meters interactive show floor, at an impressive 30% annual growth over 2017. It will additionally host more than 220 exhibitors, including JCM Global, IGT，SUZOHAPP， Ainsworth, Aristocrat, iSoftBet, Guangzhou Intelligent Game Software, Weike Gaming Technology (S) Pte Ltd., Big Gaming, Avia-Gaming etc., and is expected to draw about 1500 local and international trade visitors of all segments and levels of the field. The annual industry gathering will provide the added value of direct access to the latest and upcoming global trends, together with the experts who know them best – all within an optimal atmosphere to learn, conduct business and make new connections. G2E 2018 is the region’s must-attend gaming and entertainment industry event! 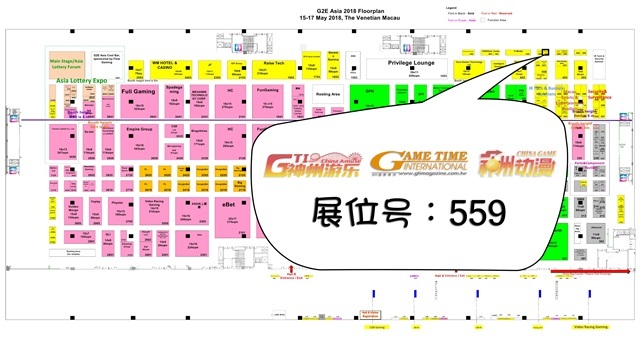 GTI will set up booth #599 in G2E Asia 2018. 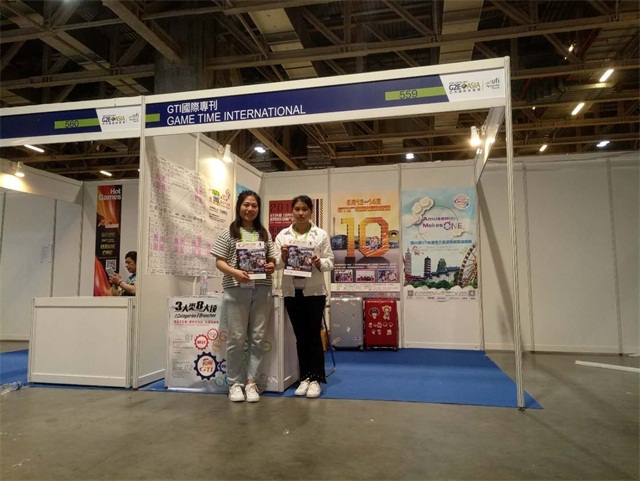 Our representatives Michelle and Shuilan from editorial department will actively distribute GTI Magazine and GTI expos fliers in the show floor to promote our customers products and invite all the global buyers to visit GTI Guangzhou Expo. Here, we sincerely invite all the industrial friends to come to our booth for consulting and exchanging.